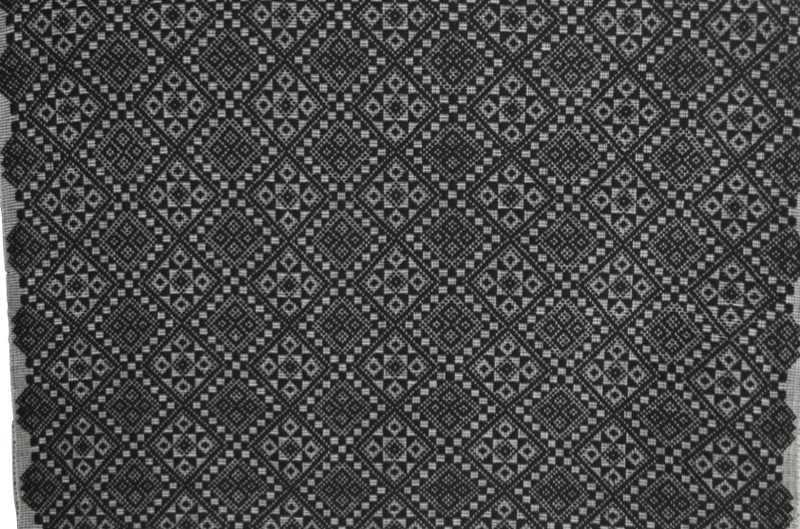 This blanket is woven in the dinapat style, featuring a pattern with stars and diamond motifs referred to as Diamante Ti Reyna. 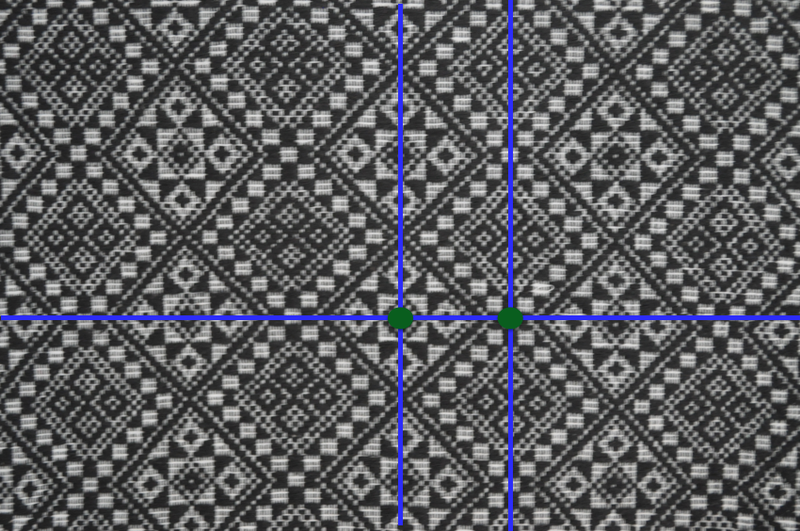 Dinapat denotes “full” or “total” referring to the design that occupies the whole blanket. Distinct centers of 180o rotational symmetries and axes of reflection symmetries are shown. The symmetry group of the repeating pattern is pmm.